Following acclaimed engagements in San Francisco, Boston, Detroit, Toronto, Los Angeles and St. Paul, Irving Berlin's WHITE CHRISTMAS, a new stage adaptation of the beloved classic film, will arrive at the Marquis Theatre on Broadway this holiday season—guaranteeing that New York will have a white Christmas! Previews will begin Friday, November 14th, 2008 for a limited engagement through Sunday, January 4th, 2009. Opening night date, schedule and casting information will be announced shortly. Irving Berlin's WHITE CHRISTMAS is produced by Kevin McCollum, John Gore, Tom McGrath, Paul Blake, The Producing Office, Dan Markley, Sonny Everett and Broadway Across America in association with Paramount Pictures. Every holiday season, audiences of all ages enjoy the uplifting story of WHITE CHRISTMAS. 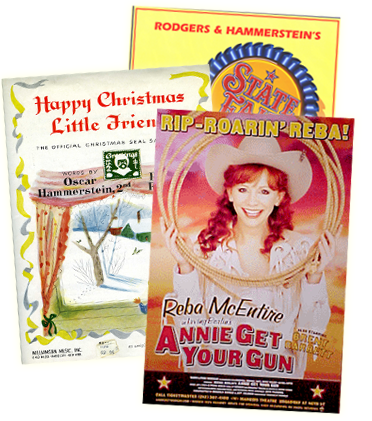 Now, a new generation will be able to experience this holiday tradition in a completely new way—live on stage. With the Broadway arrival of IRVING BERLIN’S WHITE CHRISTMAS, the show is poised to become New York’s newest holiday tradition. The musical tells the story of two showbiz buddies who put on a show in a picturesque Vermont inn, and find their perfect mates in the bargain. Full of dancing, laughter and some of the greatest songs ever written, IRVING BERLIN’S WHITE CHRISTMAS promises to be a merry and bright theatrical experience for the entire family. IRVING BERLIN’S WHITE CHRISTMAS is directed by Tony Award® winner Walter Bobbie (CHICAGO, SWEET CHARITY), with a book by David Ives (IS HE DEAD?) and Paul Blake, choreography by Tony Award® nominee Randy Skinner (42ND STREET), set design by Tony Award® nominee Anna Louizos (IN THE HEIGHTS, AVENUE Q), costumes by Tony Award® nominee Carrie Robbins (GREASE!, OVER HERE), lighting design by Tony Award® winner Ken Billington (CHICAGO, THE DROWSY CHAPERONE, ANNIE), sound design by Tony Award® nominee Acme Sound Partners (IN THE HEIGHTS, SPAMALOT), orchestrations by Tony Award® nominee Larry Blank (THE DROWSY CHAPERONE), vocal and dance arrangements by Bruce Pomahac, music supervision by Rob Berman, and casting by Jay Binder C.S.A. The stage production is based on the Paramount Pictures film, written for the screen by Norman Krasna, Norman Panama, and Melvin Frank. Many Irving Berlin classics are showcased in the new production, including “Count Your Blessings Instead Of Sheep,” “Sisters,” “How Deep Is The Ocean” and the unforgettable title song, “White Christmas.” This production of IRVING BERLIN’S WHITE CHRISTMAS plays during the holiday season each year in a different city, bringing the spirit of love, charity, and song around the country for all to enjoy. 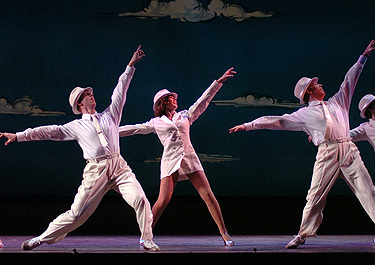 IRVING BERLIN’S WHITE CHRISTMAS made its world premiere stage debut during the 2004 holiday season in San Francisco, garnering rave reviews and establishing its status as a don’t-miss holiday show.